How do you escape the reality of your mundane existence? Do you come home from work and sit mindlessly in front of the telly? Do you listen to music on your iPod? Watch the latest flick at the movie theater? Surf the internet for hours searching for the perfect picture of a white sandy beach (my personal fav!). Or do you get lost in the inky lines of your favorite book? Whatever your day dream is, it should be magical….a place where anything is possible….a place where dreams merge with reality….a place like The Night Circus. 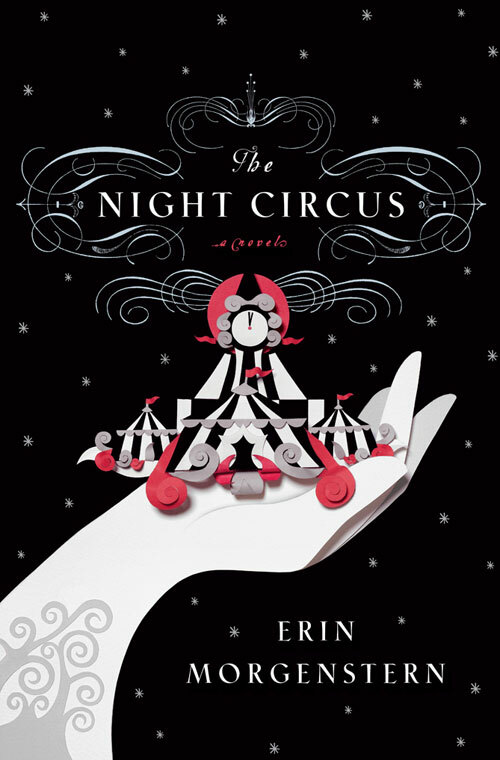 Erin Morgenstern’s novel, The Night Circus, is a mysterious anomaly–a story that is fragile and captivating. Enchantment cloaks every page of The Night Circus, enveloping readers in a plush, velvet like prose that is sure to bewitch even to the most reluctant reader. This book made me believe again and again in the power of imagination. It was like discovering Alice in Wonderland as an adult….I felt like a kid all over again….anything in this book is possible. I could totally see it being a Tim Burton movie by the way–I would love to see this book be a Tim Burton movie with Johnny Depp and Helena Bonhem Carter :)….but a lass, I digress…. Le Cirque des Reves (The Circus of Dreams) arrives without warning. All you see is a sea of black and white. No color. No announcements or advertising precedes it . It is simply there, when yesterday it was not. This mysterious enchanting circus opens only at the bewitching hour….only at night. Morgenstern invites you into the circus, asking you to wander through the circus, looking at the tents. Before you enter, you stop for a minute to examine the black and white clock that welcomes you to the circus. It is captivating. You continue on and meet a fortune teller who reads your future in her black and white cards. You get lost in the cloud maze, relax in the ice garden, and watch as the illusionist manipulates physical objects. Every night you visit the circus. It becomes your addiction….you return night after night and soon you are unable to tell the difference between dreams and reality. While you wander the circus discovering its wonders and secrets, two lovers fight to free themselves from a dark challenge. Marco and Celia are both talented illusionists. They are bound to each other and every night they compete….the circus is their venue–their stage–to showcase their imaginative talents and manipulations. They have been trained since childhood for this purpose, this game. Their instructors expect greatness and relentless discipline. In the game Celia and Marco are playing, there can be only one winner. But how does one pick a winner in such a subjective game? While Celia creates glorious gardens and carousels, Marco amplifies her illusions with his own graceful, artistic interpretation. Who can judge such breathtaking magic and beauty? Will it be the circus patrons? Fellow magicians? Will one of the players have to die for a winner to be declared? Who will endure the most pain and be left standing when the game is over? The stage is set for a remarkable battle of imagination, endurance, will, and beauty. But the fact remains, they are pawns in a game, who will the winner be? Will true love win out? In the Night Circus….anything is possible. Like an illusionists guards their most clandestine tricks….I guard The Night Circus. Many of my friends want to borrow my copy or they want me to discuss the book with them….and I’ll be honest….I’ve become really territorial of this book LOL :). Secrets have power. And that power diminishes when they are shared, so they are best kept and kept well. Sharing secrets, real secrets, important ones, with even one other person, will change them. Writing them down is worse, because who can tell how many eyes might see them inscribed on paper, no matter how careful you might be with it. So it’s really best to keep your secrets when you have them, for their own good, as well as yours. This book in my opinion was the best kept literary secret I have read in a long time :). The Night Circus drew me in…I was mesmerized by the book and fell in love with it without even trying. My only complaint about it was the time changes. The time changes were annoying but yet not enough so, to be completely distracting perhaps that is the point though…to show that time is relevant not definitive, subjective not objective. In the end, the time changes did no distract from the story itself but I did find myself looking back over the chapter from time to time just to be sure I didn’t miss something. So here is my question to those of you who have read the story: which is your favorite tent and why? You can post answers in the comments section :). Here is my answer….The Anthologies of Memory and The Pool of Tears…. loved the Ice Garden as well. The Night Circus links fantasy with reality, while also breaking the boundaries of possibility. After all, this is what we want magic to become—an irrational escape from a mundane existence–a dream, a fantasy. This story is worth so much most than the clumsy words I write about it….. 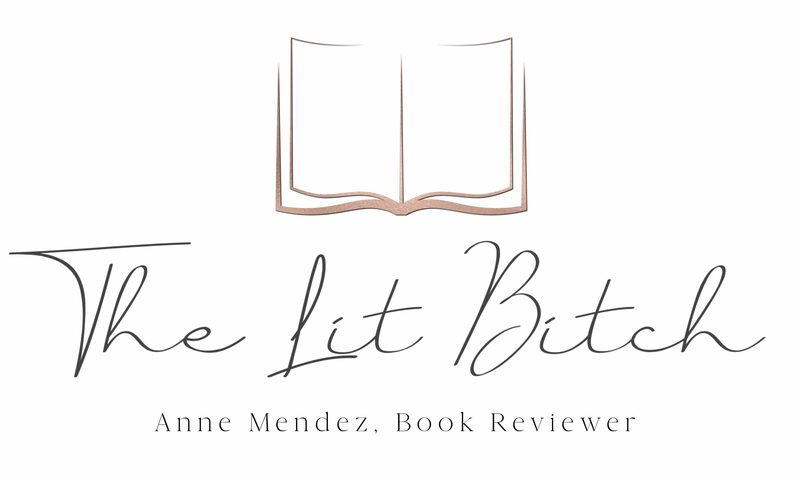 The story is breathtaking and bewitched me without even knowing it….a beautifully crafted tale of love and magic that is truly wondrous to behold. The most difficult thing to read is time. Maybe because it changes so many things. ‘It is difficult to see a situation for what it is when you are in the midst of it,’ Tsukiko says.’ It is too familiar. Too comfortable’.